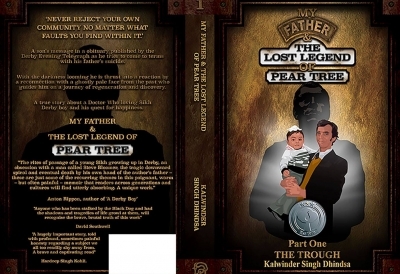 Kalwinder Singh Dhindsa is a British Punjabi author, whose debut book is a memoir called MY FATHER & THE LOST LEGEND OF PEAR TREE – PART ONE. 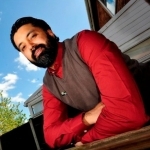 Born to Punjabi parents in Derby in 1979, Kal was raised as a Sikh. For the first twenty eight years of his life he lived in the Pear Tree area of Normanton in Derby. Part Two of MY FATHER & THE LOST LEGEND OF PEAR TREE will be released in 2018. Since the death of my father by suicide I have campaigned determinedly to promote greater mental health awareness in society. I am a writer/author and a trusted voice in the field of suicide prevention and bereavement. I have appeared in newspapers, TV and Radio sharing my father's tragic story. It is my hope to help as many people as possible in the field of suicide prevention and bereavement. I am regularly asked to give my opinion on important issues that involve and affect my community. In April 2017 I was invited to 10 Downing Street for my services to my community. I am a qualified Science Teacher with over 10 years experience teaching in secondary schools all over the East Midlands. I currently work as a Science Technician in a secondary school. The three books I have released so far cover Mental Health, the Punjabi Alphabet and a compilation of memories about my old school building. Much of my writing has Derby at its core.